Micro Pigmentation - Permanent Makeup Center Inc.
Micro-pigmentation is the practice of implanting pigments into the skin to change the tissue color for cosmetic and medical purposes. 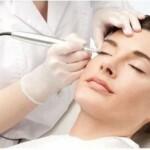 It is unmistakably a fine art form of enhancing or correcting skin tissue. Only a skilled, and licensed professional in this specific area of body or facial art should perform permanent make up or cosmetic tattooing. The art of tattooing and permanent makeup is now a technical application in which health, safety and artistry, are major considerations. There are distinct differences between body tattoos, and permanent cosmetics. Tattoo art concentrates on the major parts of the body using basic art techniques, design and ink, whereas permanent cosmetics, also known as Micro pigmentation, works primarily on the face, scars, areola complex and other skin discolorations using pigments. Pigments should be used at all times. Ink, which is used in body art is not safe for the face. Ink contains metal, which pigment does not, ink does not look natural or like applied make up and is not MRI safe (Pigments are MRI safe). Ink will turn green, blue, purple or an unattractive metallic look, and will not go away for several years. Pigment will last 3-5 years, will blend better with our own natural skin and hair, and can be manipulated as we age to continue to enhance youth. (As we age, our eyebrows tend to drop and lose hair, it is crucial to apply them slightly higher every couple of years to fool the aging signs.) Pigment is made of natural and/or organic substances, such as vegetables, or flowers. Symmetry and the composition of permanent makeup application is essential in adding beauty, youth and a balanced facial structure. Balance, and the correct color will add the alluring, fresh, young look we are all striving for. Your experience should be calm, comfortable, and satisfying. Lidocaine, Tetracaine and epinephrine are the main ingredients in the anesthetic. These are topical are created by Dr. Linda Dixon for these specific procedures. There is more pain in tweezing than getting your brows pigmented. 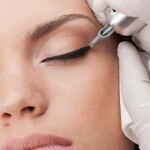 Liner “tickles” most people, and the epinephrine leaves you w/ no bruising and little swelling. It is absolutely vital that your experience with Permanent Makeup Center is pleasurable for your satisfaction and my future! In performing Micro pigmentation, only high-quality pigments are used. The following is considered the optimum physical and chemical characteristics of high-quality pigments, which provide the best medium for both permanent cosmetics and paramedical procedures. A sterile environment, disposable materials and Nassau Board of Health Licensing requirements met.